HTC One M9 vs Nexus 6 comparison:Â HTCÂ has been a trademark in the smart phone industry by some of its remarkable products such as 820 and DesireÂ series. 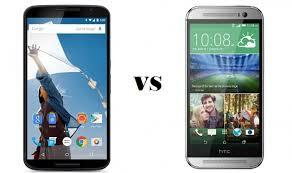 Here we have compared some of the best selling phones in the market by HTC. Camera, Display, Graphics and performance are the best in class in this price range. Lets have a comparable look below in detailsÂ HTC One M9 vs Nexus 6 comparison,Â Â specifications, price, comparison and pros and cons. HTC and Google seem to differ in their view of what an appropriate display size means for their respective flagship devices â€“ at 5 inches, the One M9 offers a great deal less screen real estate when compared with the 6-incher of the Nexus 6. That’s not all, however, as the Nexus 6’s AMOLED panel is also more pixel-dense and offers a resolution of 1440 x 2560 (493 ppi) â€“ a considerable lead on the One M9’s 1080 x 1920 pixel resolution S-LCD3 display (441 ppi). Thankfully for HTC, this advantage of Google’s handset doesn’t really mean much in reality, as the human eye has a pretty impossible task spotting any differences in image sharpness. In looking at the two, the first thing to stand out is the disparity with their sizes â€“ itâ€™s just a handful to hold the Nexus 6, while the M9â€™s contoured casing and smaller footprint makes it easier to grasp. Additionally, thereâ€™s more of that premium quality and aesthetic attached to the M9â€™s design, which is something that translates over to giving it a sturdy construction as well. The One M9Â boosts up with8-core, 2000 MHz, ARM Cortex-A57 and ARM Cortex-A53, 64-bit with a 3072Â MB of RAM which is one of the fastest processors out there for mobile devices Â fitted inside intending for an affordable price tag and with respectable performance with the Â Adreno 430 GPU .While the Nexus 6Â features a 2.7GHzÂ quad-coreÂ Â Cortex-A53 .When we work onÂ on the phones then we found that the HTC M9 takes a lead in terms of processor speedÂ as the HTC boosts up with the high performance intending octa core processor where the other one uses quad core processor. 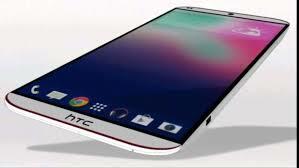 So the HTC One M9 here again let us choose it Â over Nexus 6. The HTC M9Â features 32Â GB of on-board ROM. AndÂ the phone is Â supported with a external SD card Slot with 128GB of expendability. A 12 GB and 60 GB of free Google Drive space is also given along with the ROM options. While the Nexus 6Â features 32Â GB on-board storage with an option of 64 and 128 GB variants but not any of the variants has externally supportable memory.So both the smartphones has same internal storage but in terms of RAM Nexus 6Â takes a lead with having 3 GB RAM where its rival with 3072 MB. TheÂ HTC M9Â features the same UltraPixel sensor (f/2.0 aperture) found in the original desireÂ phones, although it’s a better all-round performer than before. It also has a Duo Camera for depth perception which means that there’s a range of fancy features on offer and 5 megapixel (f/2.0 aperture) front-facing camera which is goodÂ for selfies. But the front camera is not an HD version. On the second half, the Nexus 6Â features a 13-megapixel sensor with fast 0.8 second capture speed. This smartphone has a frontÂ snapper of 2 megapixel.So in terms of camera HTC One M9 takes a lead over the Nexus 6. The HTC M9Â features Android 5.0 lollipopÂ and Sense 5.5. The Nexus 6Â also features the sameÂ Android 5.0Â lollipop but with the capability of upgradation to the latest android.So,both the smartphones boosts up with the same operating system. The HTC M9Â features a 2840Â mAh battery that is supposedly 40 per cent more efficient than the first HTC Desire phone, which could last up to two days with 2G services. However M9Â has added aggressive power saver options to make sure your device lasts the distance and it’s very impressive. The Nexus 6Â features a 3200 mAh battery that will get you through the day. It also offers power saving features to match those of NoteÂ series phones. Both devices are a step above the previous generation, giving much better endurance. So Nexus 6Â has better battery capacity as compare to the HTC M9. The Nexus 6Â features a machined aluminium body that wraps around the sides making for a 90 per cent metal finish. There will be manyÂ colors available: Black, Gray, Pink, Yellow, Green, Blue, Red, White. It’s a triumph of design, it looks stunning and feels sensational to hold. The HTC One M9Â is made out of metal which makes it looks more sharp and the mobile contains more chrome part than the other smartphones already lined up or are going to be or are the rivals at same price.The big positives are that it is dust proof and resistant in liquid down to a metre in depth, and it’ll be available in colors of-Pearl White, Midnight Black, Platinum Silver, Soft Pink, Light Blue. The HTC One M9 feels like the slicker device in daily use. The user interface is faster and although it has less options and features, the interface feels more sophisticated and mature. It offers class-leading sound quality, a great display, but the real winner is the design. HTCÂ decision to push the limits is not only impressive, but a gesture that shows they want to make a long-lasting statement. Each phone has their unique characteristics, but it becomes abundantly clear that the HTC One M9 simply has more features. Shared features between the two phones include the IR blaster and microSD card slot, thatâ€™s all! In terms of exclusive features, the M9 boasts a finger print sensor, heart rate sensor, removable battery.The One M9 offers a wider range of features and comes with great connectivity, a stunning display, plenty of power and a camera that performs well.Working on the latest operating system and with the usage of high speed processors will take hearts of android lovers. As per price, the HTC One M9Â is available at Rs 64,990Â INR (priced too high) and the Nexus 6Â available in India at a price tag of 44,000 INR.